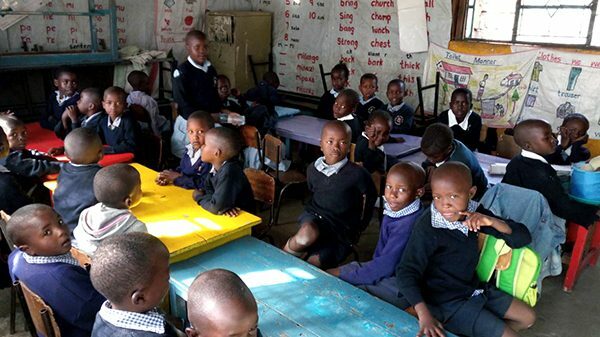 We are now thirteen months into African Adventures Foundation’s biggest ever fundraising drive and, already, we have raised nearly £42,000.00 for the new Walk Centre primary school through our Big Build Kenya campaign! Chichester College breaking ground on the new primary school in July 2016. Standard Two (a newly added standard for The Walk in 2017) take their first lesson in their brand-new classroom. It’s been six months since Chichester College volunteers first broke ground on the new Walk Centre primary school project back in July 2016. 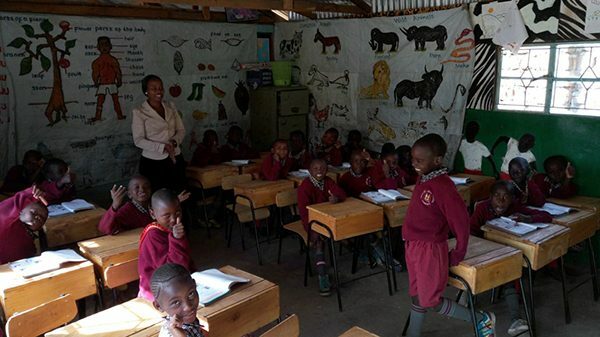 Six months later, the ground floor classrooms have been constructed and Project Founders, Alex and Patricia Maina, have opened the first four primary education classrooms for Standard One through to Standard Four (the first four years of Kenyan primary education). The first floor of the new Walk Centre primary school is now complete. Existing nursery school classrooms at The Walk. 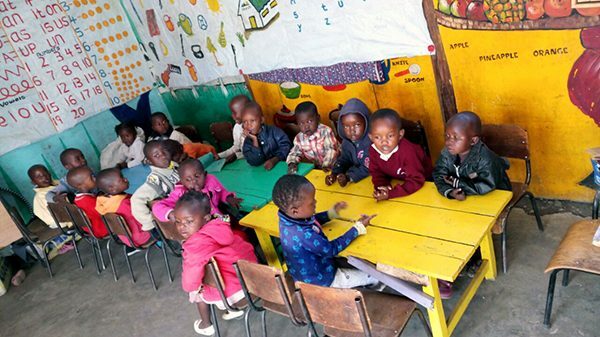 Up until this month, students graduating from The Walk Centre after Standard One were moved on to a local government school and The Walk Centre covered all the associated schooling fees. These fees included; uniforms, lunch, desks, stationery and examination fees, for over 200 children. 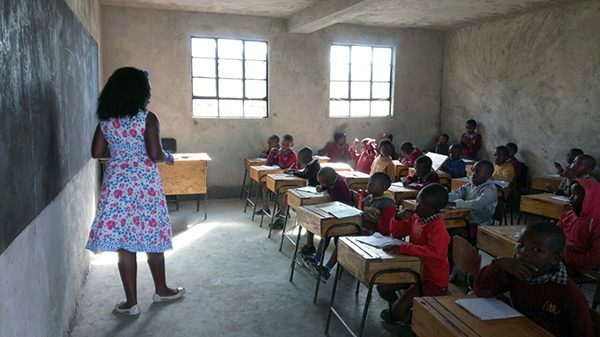 With the construction of ten new classrooms, Alex and Patricia’s plan is to open one new primary school class per year and slowly move their current students through the successive year groups. Standard Three class before moving to the new classrooms. Baby Class, the first year of nursery school. Children aged 4. 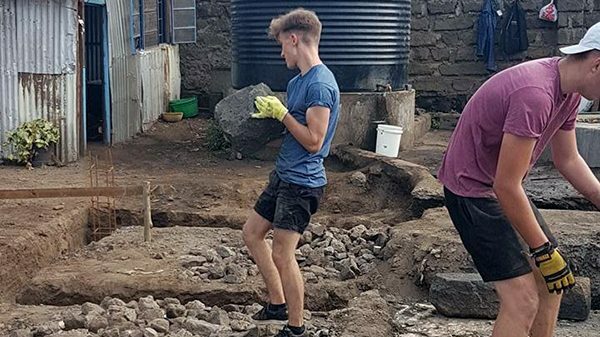 On 18th March, 30 Chichester College volunteers will be jumping from 10,000ft and raising more than £8,000 for the Big Build Kenya campaign. Would you like to take part? Visit our skydive webpage for more details. 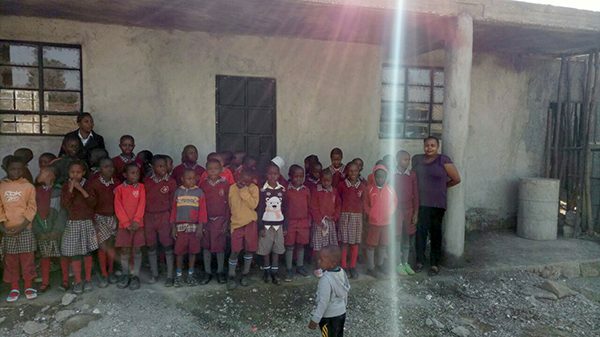 To read more about the Big Build Kenya campaign, please visit our website.